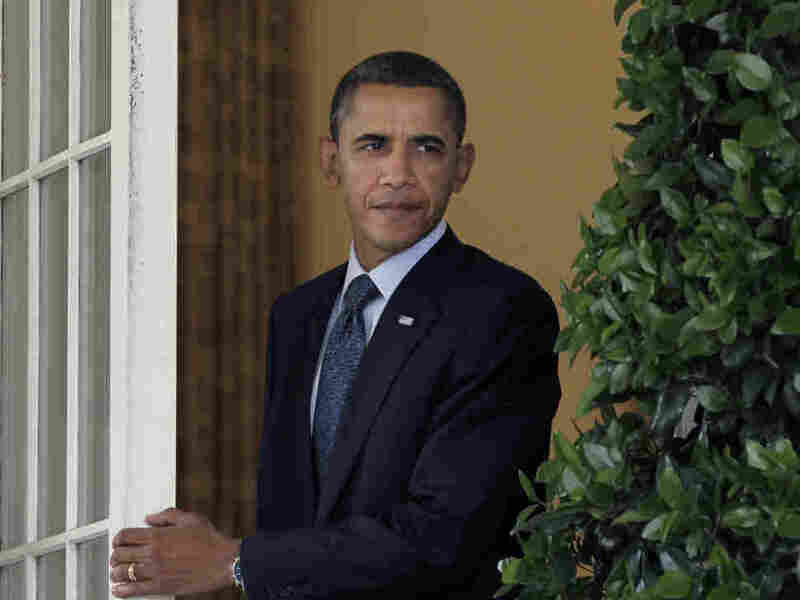 Shortly after his White House meeting with a bipartisan group of congressional lawmakers, President Barack Obama made his first public response to the WikiLeaks release of tens of thousands of classified U.S. documents related to Afghanistan. What the president didn't do was even arguably as interesting as what he did. He didn't use the moment, as some other presidents might have, to excoriate the leaker or leakers, to promise a severe prosecution of those responsible or to speak to generally to the importance of the government being able to hold onto its secrets. While he said he was "concerned" that the leak could put people or operations at risk, to used the leak as an opportunity to highlight how he has in his view placed Afghanistan strategy on the right track compared with his predecessor. His main concern appeared to be to do what he could to make sure the leak didn't derail the war spending on Afghanistan Congress is currently considering. While I'm concerned about the disclosure of sensitive information from the battlefield that could potentially jeopardize individuals or operations, the fact is, these documents don't reveal any issues that haven't already informed our public debate on Afghanistan. Indeed,they point to the same challenges that led me to conduct an extensive review of our policy last fall. So let me underscore what I've said many times. For seven years, we failed to implement a strategy adequate to the challenge in this region -- the region from which the 9/11 attacks were waged and other attacks against the United States and our friends and allies have been planned. That's why we've substantially increased our commitment there; insisted upon greater accountability from our partners in Afghanistan and Pakistan; developed a new strategy that can work; and put in place a team, including one of our finest generals, to execute that plan. Now we have to see that strategy through. And as I told the leaders, I hope the House will act today to join the Senate, which voted unanimously in favor of this funding, to ensure that our troops have the resources they need and that we're able to do what's necessary for our national security.